This clinical case demonstrates that initial excellent soft and hard tissue outcomes using NobelActive implants are preserved over the long term. Several studies and peer-reviewed publications confirm that NobelActive implants result in excellent clinical outcomes, even in challenging indications and when esthetic expectations are high.1 This clinical case demonstrates that initial excellent soft and hard tissue outcomes using NobelActive implants are preserved over the long term. A male patient presented at my clinic in 2008, with a failing porcelain-fused-to-metal fixed dental prostheses on tooth numbers 24 and 25. Pre-operative situation after the removal of the crowns. 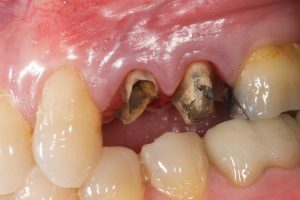 The clinical examinations showed periapical infection and root fracture at tooth 24; and gingival inflammation, bleeding on probing and 4 mm of periodontal probing depth on both teeth. The patient was in good medical condition and was concerned about the esthetic outcomes of treatment. After evaluation of the root dimensions and the available bone at the recipient site, immediate placement of a NobelActive implant after extraction of tooth 24 was planned and root canal treatment of tooth 25 was performed. 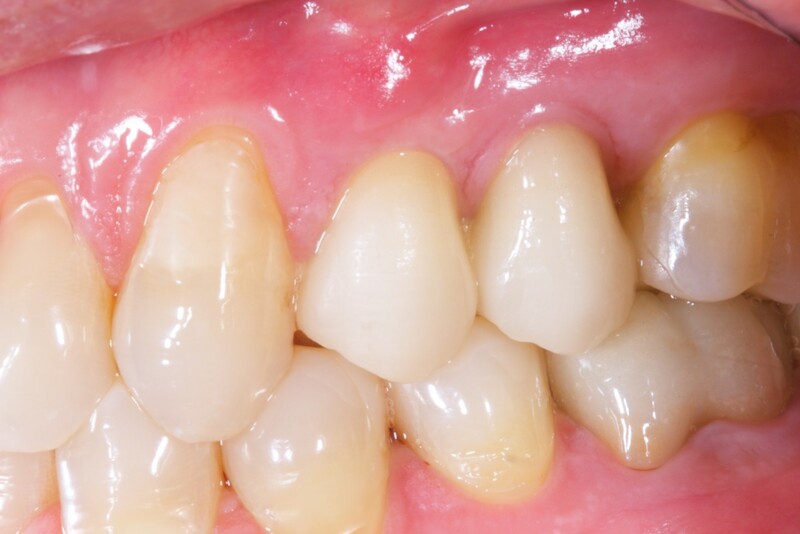 A minimally invasive tooth extraction without elevating a gingival flap was performed to maintain the integrity of the buccal plate and proximal bone peaks. The height of residual bone was 7 mm. After a mechanical and chemical debridement, the alveolar socket was disinfected with rifampicin antibiotic solution. A simultaneous transcrestal guided sinus augmentation2 was performed to lift the sinus membrane and place a NobelActive RP 4.3 × 13 mm implant. 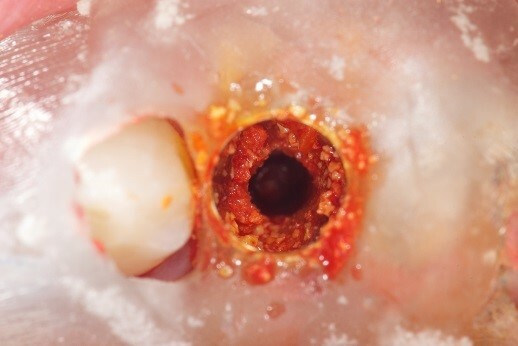 Socket augmentation and autogenous soft tissue grafting were performed to close the socket and increase the amount of soft tissue at the recipient site. Four months later, 2-stage surgery and simultaneous implant impression with the delivery of a healing abutment was performed. 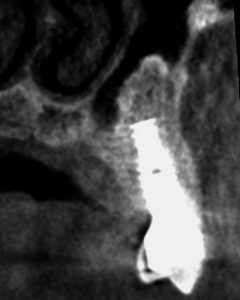 The implant stability quotient (ISQ) was 69, resulting from satisfactory engagement of the implant with the native bone surrounding the alveolar pocket. 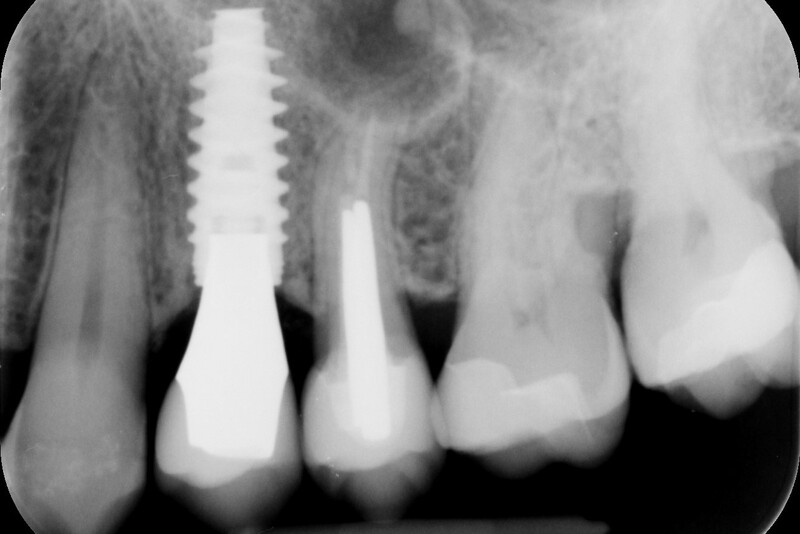 After 4 weeks, the implant was provisionalized with a screw-retained restoration. After a further 4 weeks, the final lithium disilicate crown was placed. 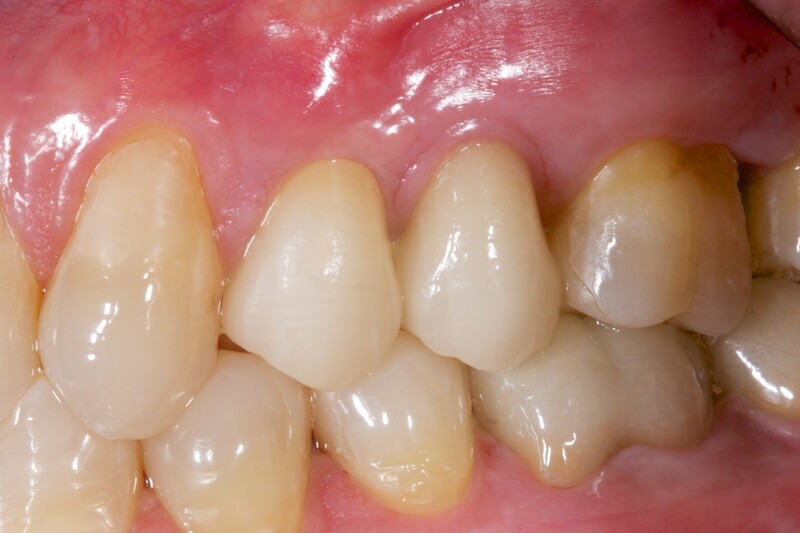 The total treatment time, from the first consultation to the delivery of the final restoration, was 6 months. Clinical view immediately after tooth extraction. Intraoperative view through the surgical template. Intraoperative view during implant insertion. 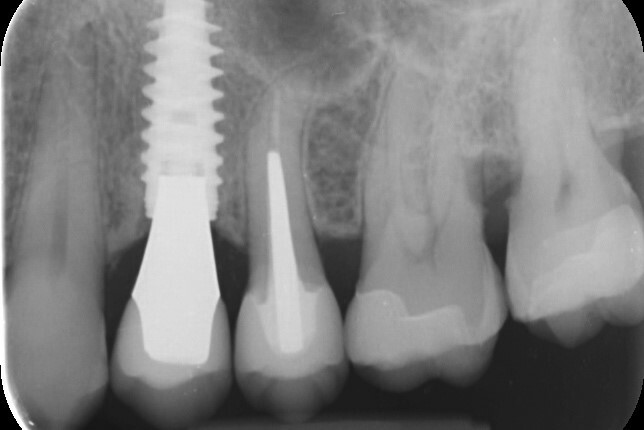 Intraoral and X-ray examinations were performed at 1, 3, 5, 7 and 10 years after implant insertion. 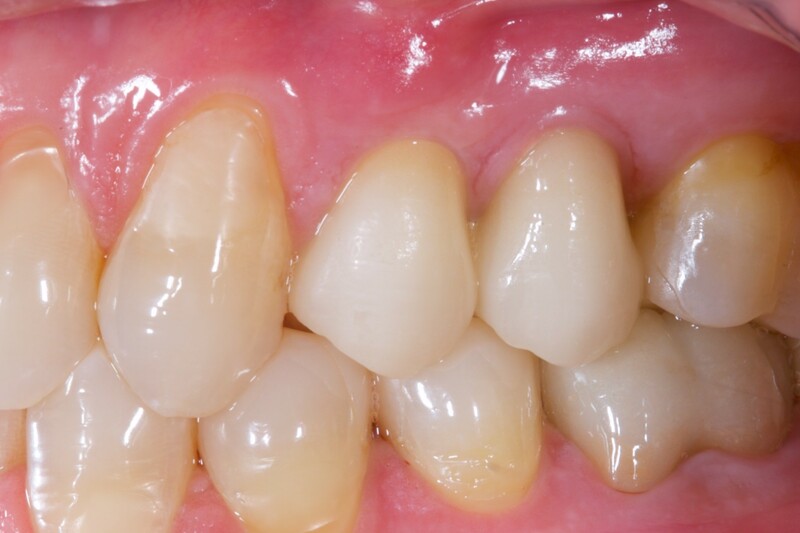 Already, at the first follow-up visit after 1 year, we observed that the gingival embrasures were filled with good papilla, creating the soft tissue seal that is critical for esthetic and masticatory comfort of the patient. In later follow-up visits, even at 10 years, the soft tissue response was still excellent, showing no decline in papillary parameters. 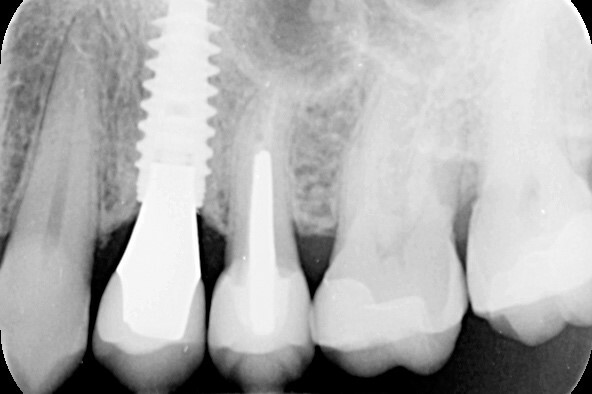 We also observed that the marginal bone level around the implant was stable throughout this long-term follow-up. In fact, the radiographic assessments showed that bone had even grown onto the implant platform during this time. Today, after conducting more than 10 years of clinical studies on NobelActive, it is my implant of choice when I want to: deliver immediate function; support good esthetic outcomes; shorten the overall treatment time; and, give my patients confidence of long-lasting success. 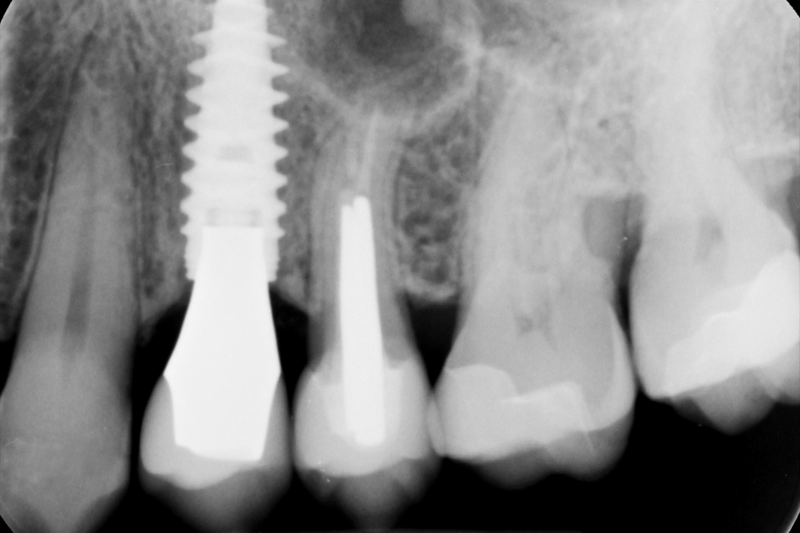 Moreover, the bone levels around the NobelActive implant always exceed my expectations. It is not unusual to observe bone overgrowth onto the NobelActive platform over time! Cone beam computed tomography image obtained 10 years after implant insertion, showing bone growth onto the implant platform. Such important surgical and material considerations make restorations predictable and safe for the patient. 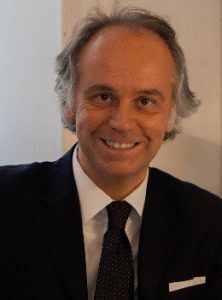 Prof. Alessandro Pozzi has been in private practice in Rome, Italy since 1997 and personally performs surgical and prosthetic implant-based restorations. All images courtesy of Professor Alessandro Pozzi, Italy. Nobel Biocare. NobelActive over 10 years of clinical experience. Science First 2018. Volume 5, Issue 1. Pozzi A, Moy PK. Minimally invasive transcrestal guided sinus lift (TGSL): a clinical prospective proof-of-concept cohort study up to 52 months. Clin Implant Dent Relat Res 2014;16(4):582-593. Polizzi G, Cecchini P, Pasini E. 6-year retrospective analysis of variable-thread tapered implants placed in demanding situations. Clin Oral Impl Res 2017;28:229. Kolinski ML, Cherry JE, McAllister BS, et al. Evaluation of a variable-thread tapered implant in extraction sites with immediate temporization: a 3-year multi-center clinical study. J Periodontol 2014;85(3):386-394. Pozzi A, Agliardi E, Tallarico M, et al. Clinical and radiological outcomes of two implants with different prosthetic interfaces and neck configurations: randomized, controlled, split-mouth clinical trial. Clin Implant Dent Relat Res 2014;16(1):96-106. Pozzi A, Tallarico M, Moy PK. Three-year post-loading results of a randomised, controlled, split-mouth trial comparing implants with different prosthetic interfaces and design in partially posterior edentulous mandibles. Eur J Oral Implantol 2014;7(1):47-61. Yamada J, Kori H, Tsukiyama Y, et al. Immediate loading of complete-arch fixed prostheses for edentulous maxillae after flapless guided implant placement: a 1-year prospective clinical study. 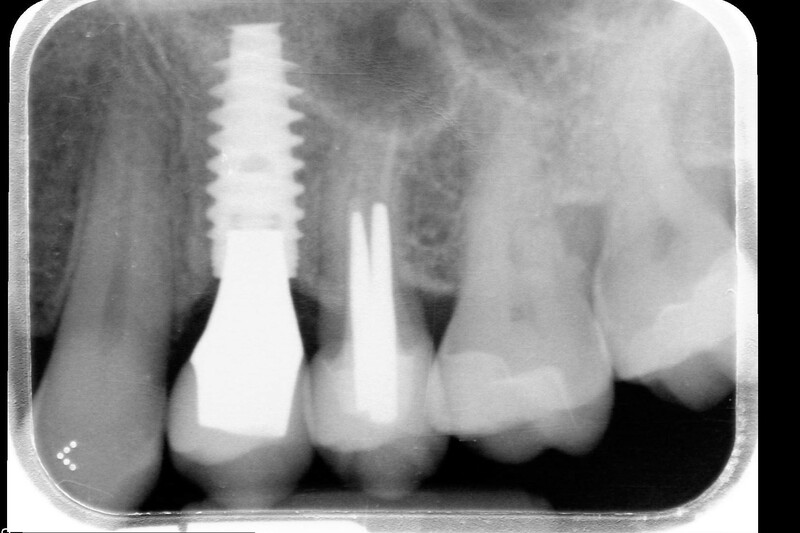 Int J Oral Maxillofac Implants 2015;30(1):184-193. Pozzi A, Polizzi G, Moy PK. Guided surgery with tooth-supported templates for single missing teeth: A critical review. Eur J Oral Implantol 2016;9(2):S135-S153. Pozzi A, Sannino G, Barlattani A. Minimally invasive treatment of the atrophic posterior maxilla: a proof of-concept prospective study with a follow-up of between 36 and 54 months. 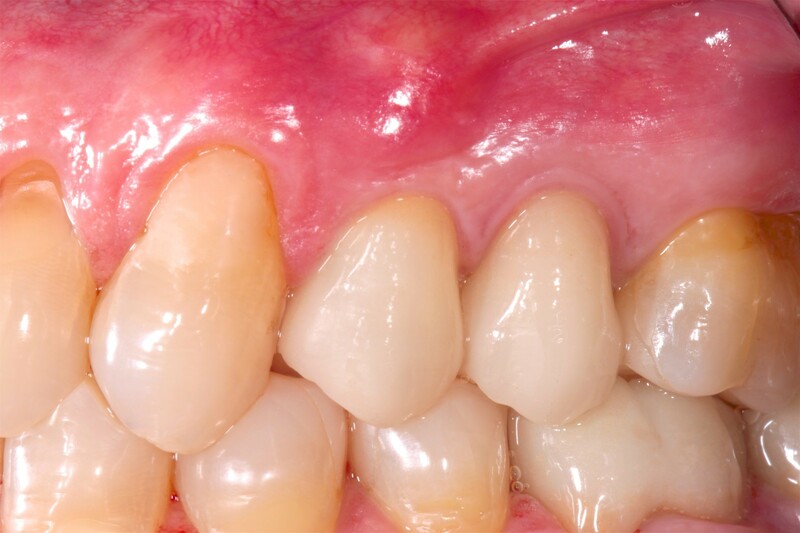 J Prosthet Dent 2012;108(5):286-297. Pozzi A, Tallarico M, Marchetti M, et al. Computer-guided versus free-hand placement of immediately loaded dental implants: 1-year post-loading results of a multicentre randomised controlled trial. Eur J Oral Implantol 2014;7(3):229-242. Kolinski ML, Cherry JE, McAllister BS, et al. Evaluation of a variable-thread tapered implant in extraction sites with immediate temporization: a 3-year multi-center clinical study. J Periodontol 2014;85(3):386-394.Pozzi A, Agliardi E, Tallarico M, et al. Clinical and radiological outcomes of two implants with different prosthetic interfaces and neck configurations: randomized, controlled, split-mouth clinical trial. Clin Implant Dent Relat Res 2014;16(1):96-106. Karl M, Albrektsson T. Clinical performance of dental implants with a moderately rough (TiUnite) surface: a meta-analysis of prospective clinical studies. Int J Oral Maxillofac Implants 2017;32(4):717-734. Ivanoff CJ, Widmark G, Johansson C, et al. Histologic evaluation of bone response to oxidized and turned titanium micro-implants in human jawbone. Int J Oral Maxillofac Implants 2003;18(3):341-348. Rocci A, Rocci M, Rocci C, et al. Immediate loading of Brånemark System TiUnite and machined-surface implants in the posterior mandible: a randomized open-ended clinical trial. 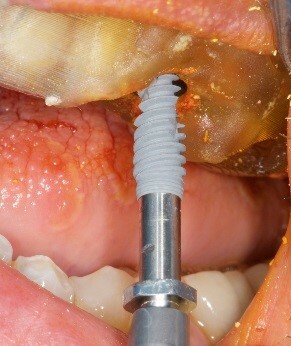 Int J Oral Maxillofac Implants 2013;28(3):891-895.Marzola R, Scotti R, Fazi G, et al. Immediate loading of two implants supporting a ball attachment-retained mandibular overdenture a prospective clinical study. Clin Implant Dent Relat Res 2007;9(3):136-143. Arnhart C, Kielbassa AM, Martinez-de Fuentes R, et al. Comparison of variable-thread tapered implant designs to a standard tapered implant design after immediate loading. A 3 year multicentre randomised controlled trial. Eur J Oral Implantol 2012;5(2):123-136. Glauser R. Implants with an oxidized surface placed predominately in soft bone quality and subjected to immediate occlusal loading: results from a 7-year clinical follow-up. Clin Implant Dent Relat Res 2013;15(3):322-331. 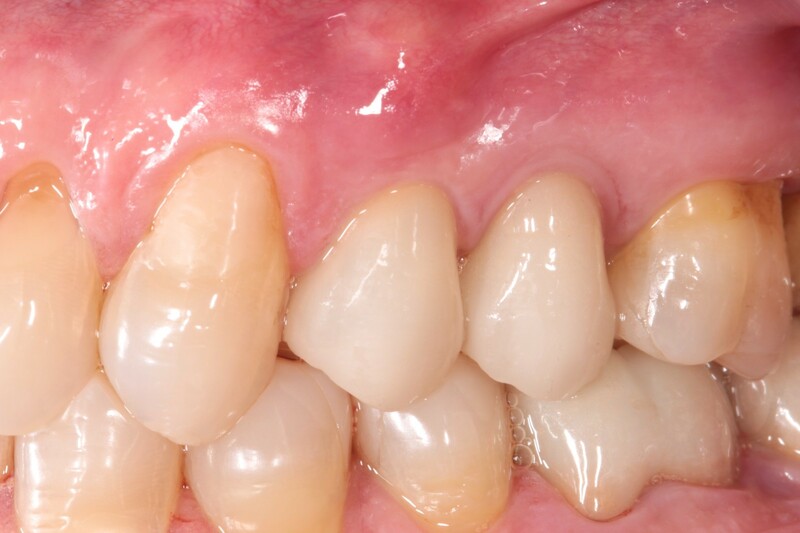 Liddelow G, Henry P. The immediately loaded single implant-retained mandibular overdenture: a 36-month prospective study. Int J Prosthodont 2010;23(1):13-21. Mura P. Immediate loading of tapered implants placed in postextraction sockets: retrospective analysis of the 5-year clinical outcome. Clin Implant Dent Relat Res 2012;14(4):565-574. © 2018 Nobel Biocare Services AG. All rights reserved.